Welcome to Duke Slater headquarters! Here we celebrate the legacy of one of the most legendary and groundbreaking athletes of the twentieth century. Take a look around to learn more about Slater and the ways in which we can keep his legacy alive! 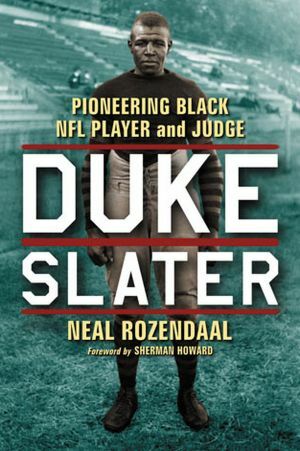 It was my great honor to have written the definitive biography on Duke Slater back in 2012. You can read more about the book here. You can also purchase Duke Slater today for $29.99 (with free shipping included!) Just click on the PayPal link below. Also, if you would like your copy autographed and/or personalized, simply add the request in a note to the seller before you checkout in PayPal. Thanks for your support! Awesome coverage on the Duke of justice will prevail of him being elected to The pro football Hall of Fame.he deserves that are as well of the stadium name should as Duke Slater Field. I came across his name from the Old Brittiania Encylopedias from the 70’s. 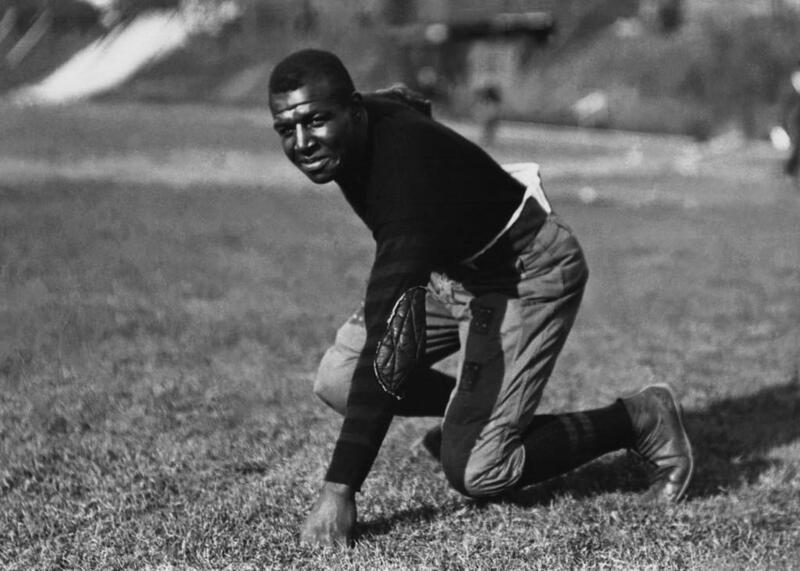 In the football section, his picture was there of him in his blocking stance with a caption of him playing from 1918-1931. It got taken out in the 1980 encyclopedia edition.